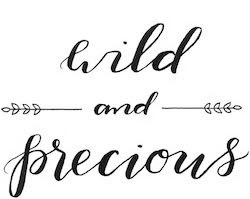 Wild & Precious: Ohh Nashville..
alright, so it wasn't him. Unless he has some secret reason as to why he was buying clothes for a two year old...but, I guess you never know. BUT, (and Katbird and L.Carmody this if for you). I DID hang out with MAT KEARNEY for a couple minutes backstage last night at one of our friends Preston's band's concert. I have a bit more to brag about this meeting, but in fear of being "uncool," we'll have to talk about it personally. You know how it goes with famous people... And I can't forget to mention that I know WILD SWEET ORANGE. If you don't know of them yet.. I promise you that you will! How fun! At least you are starting to reap the benefits of living in Nashville! Oh, and I hope you've noticed all the blogging I've been doing, it's a new goal of mine to keep it relatively current.